Birthdays are supposed to be happy occasions we spend with our friends and family. That said, we do not always find ourselves in the same town, city or country for all of our lives. We all spread our wings and leave the nest. 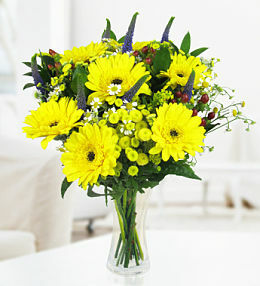 So, how can you arrange for a flower delivery to a loved one abroad? Simple! 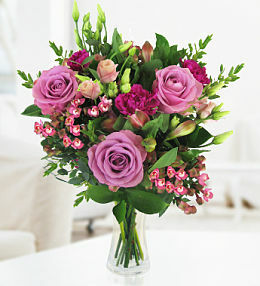 Order flowers online and let our expert team at Prestige Flowers take care of the rest for you. That&apos;s right! 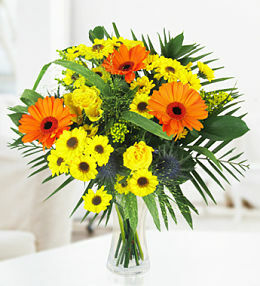 You can send flowers to Luxembourg from the comfort of your own home! No international phone calls, no trouble making payment or tracking your order. It&apos;s all made simple and fast with our easy to use site and order system. Take a look around through the various bouquets available for delivery in Luxembourg, choose your favourite and place your order. 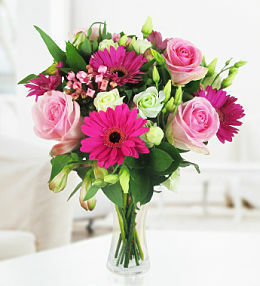 Our high quality product photos, bouquet descriptions and size options make it easier to choose the perfect arrangement when the time comes to send birthday flowers to Luxembourg from the UK. 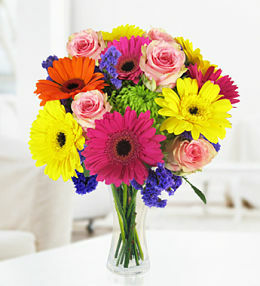 Don&apos;t forget to consider some of our other extras like a cute stuffed animal, chocolates or even an elegant vase. 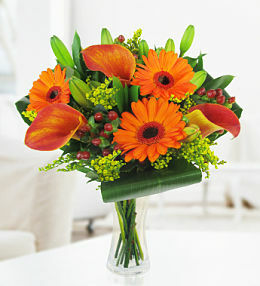 This stunning Carmen bouquet, available for next day delivery to Luxembourg, is bound to make them smile. 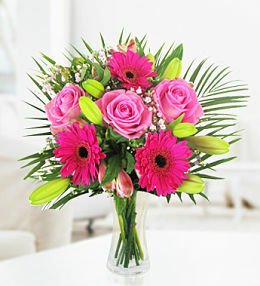 Featuring gorgeous fresh roses, gerbera, carnations and palm leaves - it really is the perfect gift.